The 3M Scott Safety Scott Sight Hands Free In-Mask Thermal Imaging Camera is the first of its kind thermal in-mask system, with a revolutionary design integrating a lightweight camera and display in the fire-fighters mask. Scott Sight is the first of its kind thermal in-mask system. Fire fighters have used hand-held thermal imaging cameras since the 1990's to see through the thick smoke often encountered during fires. Advancements in thermal imaging technology have now reduced the size of the components and enabled new applications. 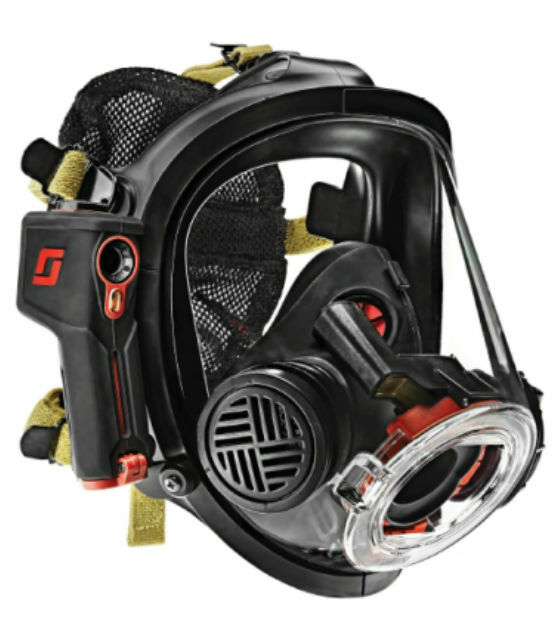 Scott Sight's revolutionary design integrates a lightweight camera and display in the fire-fighters mask, keeping the thermal image in view at all times. This enhanced capability is the direct result of a need we heard from fire-fighters to have thermal imaging technology that's more accessible and easier to use. 3M Scott Safety has a long history of innovation and a deep commitment to the fire-fighter community, and Scott Sight will better protect the fire-fighters and enable them to work more efficiently. • Enhanced situational awareness - Improved hot zone accountability. • Powerful and light - Lightweight at only 240 grams. • Fits to AV-3000 HT facepiece - Buy altogether as a completed kit. • 160x120 resolution at 9 frames per second - Everything you need and nothing you don't. • In-mask display - See a clear image unobstructed by theenvironment. • Infinity lens - Ensures a clear picture with no eyestrain. • Adjustable display - Configurable to your line of sight. • Minimum four-hour battery life - Powered by simple, everydayAAA batteries. • Spot or Ambient temperature settings (F or C) - Userconfigurable. • User configurable screen options - Different user interfaces fordifferent tastes. • Extremely economical - We believe that every fire-fighter wouldbenefit from having Scott Sight so we priced it that way.